NEWPORT, Ky. -- A proposed construction project at the corner of Saratoga and East Ninth streets in Newport is getting mixed reviews from social media, including the Facebook page for ReNewport . Many express a desire to save the late 1800s buildings and are critical of the proposed modern design. Others are just glad that something will happen to make the corner a viable part of the community again. The project, from developer and architect Nathan Myers of Bauhaus Development, is for an eight-unit building on three lots with parking and limited retail on the bottom floor. Its name will be L&N Lofts, after the Louisville and Nashville Railroad line. Construction would require the demolition of three structures, including a late-1800s house. The project recently cleared its first hurdle -- changing the zoning from residential to central business district. The view of the proposed site for L&N Lofts from 9th Street. These buildings were originally built in the late 1800s, but have been empty for 20 years. The spot is a great location for what Myers is trying to accomplish: "To bring in a high-quality residential experience and quality design. It has the right energy and the right location." Today, it's neither a pretty nor an active corner. 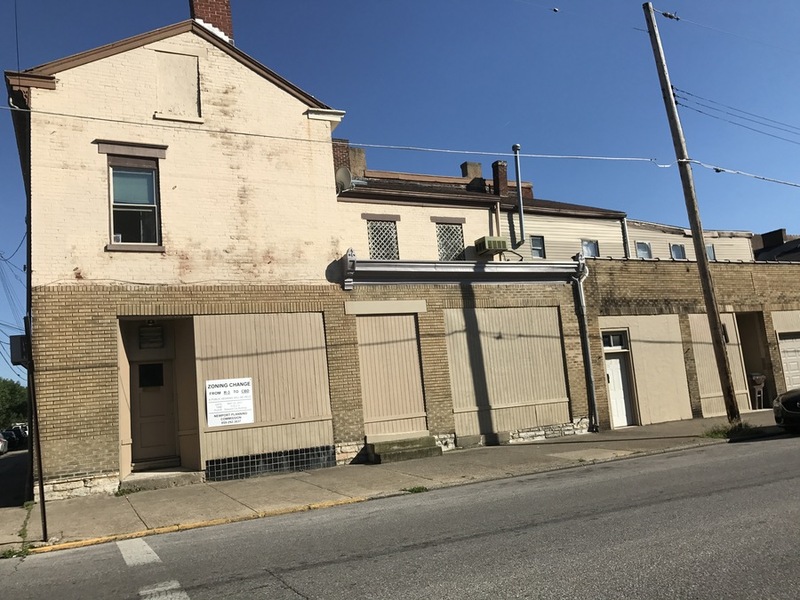 The tan-painted building has been empty for more than 20 years, according to Tom Fromme, Newport's city manager. The 1880s house that faces Saratoga is in disrepair; how long it's been empty is unknown. Across the street is the recently renovated Industry Salon building, which has retained its original exterior look. Its owner, Kate Moeves, is happy for another investment on the block. On the other end of Ninth Street is the Carabello Coffee Co., and Webb's BBQ has a spot in the middle. On the other side is a modern supply company and a few residents up to the alley that borders the L&N property. "I'm happy something is going there," Moeves said. "I'm excited that there's a storefront and nice high-end apartments." 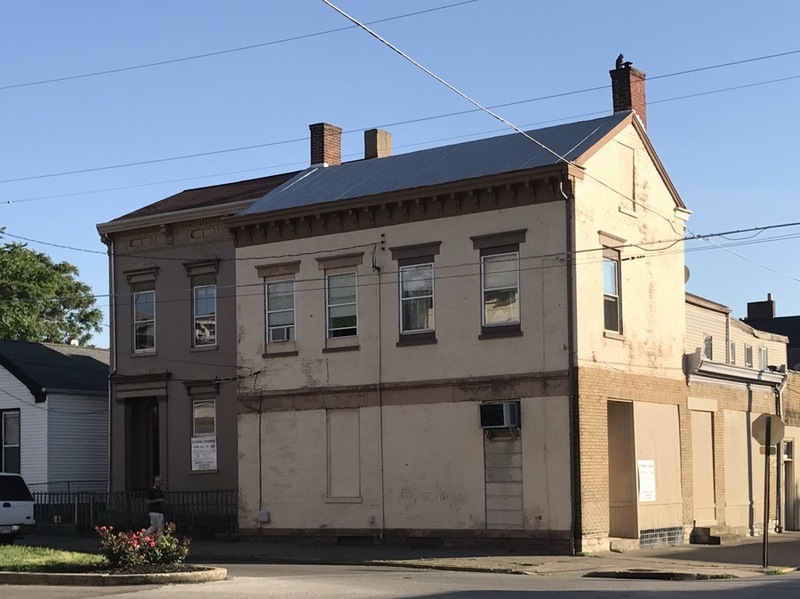 Facebook posts on ReNewport, however, have generally been negative, stressing concern that tearing down original structures would set an unhappy precedent while putting other buildings that are not in a historic district at risk. No one has complained about the investment part of the projected $2 million project. It's basically a tough call, wrote Gary Collins, owner of the Galaxie Skateshop on Monmouth. "We either want a bustling business district, or one in financial ruins. Hard to find the middle ground." Another Facebook writer noted that the existing buildings were an eyesore and should be torn down. It's the design that has riled some folks -- modern with a street-level elevator. Terry Bond, owner of the Crazy Fox, and his partner, Carl Fox, aren't happy with the modern look of the first concept or the density that apartments would bring. The Crazy Fox is at Ninth and Washington Avenue. "We're glad someone wants to come in and invest in the neighborhood," said Bond. "It's just critical that it be done appropriately. Unfortunately, the concept of tearing down three properties and building something ultra-modern is not it." The view of the proposed site for L&N Lofts from Saratoga Street. The site includes the residential structure on the left. Bond and Fox both want to see something more in line with the city's historic aesthetic, and hope the developer and city will work to make that happen. They said they understand if the existing structures must be torn down. Myers, however, said his design will work with the surrounding vintage structures. "I grew up in a small town," said Myers, whose business is in Fort Thomas and who is also a preservationist. "I have an appreciation for turn-of-the-century architecture." But a properly scaled modern building can fit in with the area, he said. Mark Ramler, a historic preservationist and owner of Mansion Hill Properties in Newport, said he appreciates the modern design if it's appropriate and in scale to the surrounding buildings. "I like the design of it, and I think it's going to be a great addition to the neighborhood, but it's not worth the expense of tearing down historic buildings when there are open lots nearby," he said. "Katharina's (Cafe-Konditorei) was a lot less architecturally significant and look what we've done with that," he said. Katharina's is soon to open in a vintage building on Washington Avenue. Ramler did the restoration. Myers' building would offer different amenities, such as a dog station to dry off Fido before residents take him upstairs. A rooftop deck would act like a backyard offering a small hangout space after walking to dinner on Monmouth. And elevator access would allow the FHA-required handicapped unit to be on the second floor -- otherwise that unit would take up valuable retail or parking space. Myers said the small complex would use high-end materials and attract high-end renters with leases comparable to nearby Aqua on the Levee. Moeves, who said she's a fan of historic renovation, wouldn't comment on the design. "I'm kind of neutral," she said. The building could be stretched height-wise to accommodate 12 living spaces, "but we're examining whether that makes sense for the location," Myers said. That number concerns Bond, who says four families per lot is just too much and would require too much parking. Parking is one of the issues, Myer conceded. To give each of the eight units an off-street parking space, and meeting parking-lot dimension codes, would require demolishing the house that is also on the site. "It would otherwise make development impossible." Bond said he's working with local businesses to get them on the same page. He also hopes to arrange a meeting with the mayor and the developer. "If this city doesn't help work this through and they allow this precedent to be set, then lots of adverse things could happen," he said. Myers' design plan goes next to the Urban Review Board and the city council.